G. Raymond McCullough of The Juanita Center LLC and Lisa Fladager of BodySoul Work are combining over a half century of counseling experience to offer an ongoing 26-week Dialectical Behavior Therapy (DBT) Skills Group. This new DBT group is specially designed for individuals searching for new ways of solving substance abuse problems and improving their overall quality of life. The therapy provides skills-focused treatment that specializes in teaching individuals to control moods and impulses, deal with stress, and manage relationships. Many substance abusers use their drug of choice to regulate their emotions and improve their moods. DBT can provide needed support, direction, and relief. 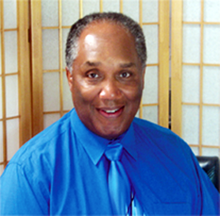 G. Raymond McCullough is the director and owner of The Juanita Center LLC. He holds National and Washington State certifications as an Addiction/ Chemical Dependency Professional. He has managed and provided clinical services in the public and private sectors and within the U.S. Military. G. Raymond McCullough's experience spans 30 years and includes management and clinical work in the addictions and behavioral health fields. He has expertise working with adolescents, adults, older adults, Native Americans, pregnant women, and parolees. Lisa Fladager is the owner of BodySoul Work, located at Bayview Corner on Whidbey Island. BodySoul Work is committed to providing depth psychotherapy that mindfully addresses the needs of the body, mind, and soul in the healing process. 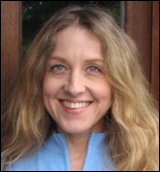 Lisa has 27 years of clinical experience as a therapist and educator in public settings and in private practice with individuals, couples, and groups. She is a Washington State Licensed Mental Health Counselor. In 2004, she was intensively trained in Dialectical Behavior Therapy by its creator, Dr. Marsha Linehan. Lisa's related experience also includes developing a long-running DBT program at a local community mental health clinic. Who: Ideal for individuals who are completing an inpatient or intensive outpatient alcohol or drug treatment program. When: Flexible scheduling to meet the needs of participants. Where: The Juanita Center LLC and BodySoul Work. Cost: $1690.00 for the 26-week program. Sliding fee available. Participants must be screened for inclusion. To register or for more information, call: (425) 328-9528 or (360) 221-2677. Click this link to view and print the DBT program flyer, which provides details about the DBT group session.